Liverpool University Press: Books: Merely for Money? In 1780 Richard Sheridan noted that merchants worked ‘merely for money’. However, rather than being a criticism, this was recognition of the important commercial role that merchants played in the British empire at this time. Of course, merchants desired and often made profits, but they were strictly bound by commonly-understood socio-cultural norms which formed a private-order institution of a robust business culture. In order to elucidate this business culture, this book examines the themes of risk, trust, reputation, obligation, networks and crises to demonstrate how contemporary merchants perceived and dealt with one another and managed their businesses. Merchants were able to take risks and build trust, but concerns about reputation and fulfilling obligations constrained economic opportunism. By relating these themes to an array of primary sources from ports around the British-Atlantic world, this book provides a more nuanced understanding of business culture during this period. A theme which runs throughout the book is the mercantile community as a whole and its relationship with the state. This was an important element in the British business culture of this period, although this relationship came under stress towards the end of period, forming a crisis in itself. 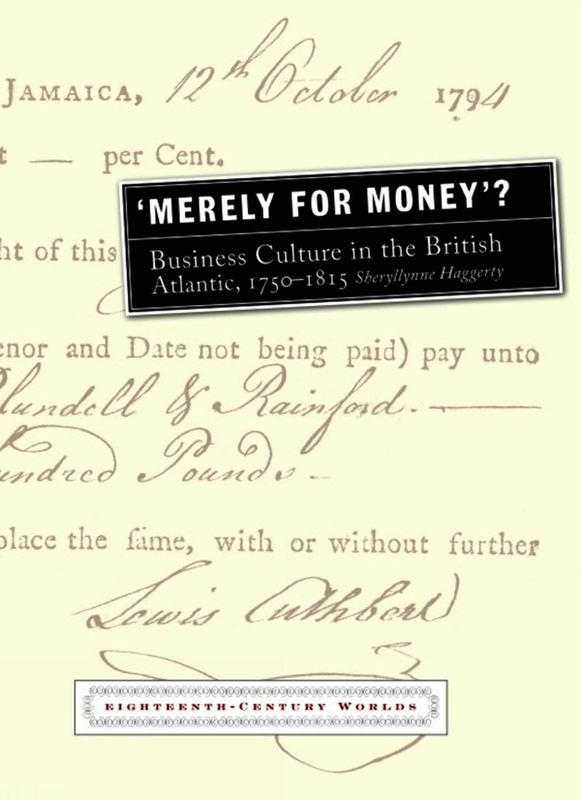 This book argues that the business culture of the British-Atlantic mercantile community not only facilitated the conduct of day-to-day business, but also helped it to cope with short-term crises and long-term changes. This facilitated the success of the British-Atlantic economy even within the context of changing geo-politics and an under-institutionalised environment. Not working ‘merely for money’ was a successful business model. A very well written, accessible work of largely original research which makes an important contribution to our understanding of Atlantic communities. ‘Merely for Money’? is extremely thought-provoking, opening several avenues for future investigation. The book’s biggest contribution to the field is undoubtedly its interdisciplinarity. Haggerty successfully places qualitative research in a theoretical framework, demonstrating, quite rightly, that a socio-economic approach can add much to historical studies. This book will invigorate debate over the intricacies of trade throughout the British Atlantic and more widely, and the methodologies explored promise much for future generations of commercial historians. Sheryllynne Haggerty is Associate Professor in Early-Modern History, University of Nottingham.